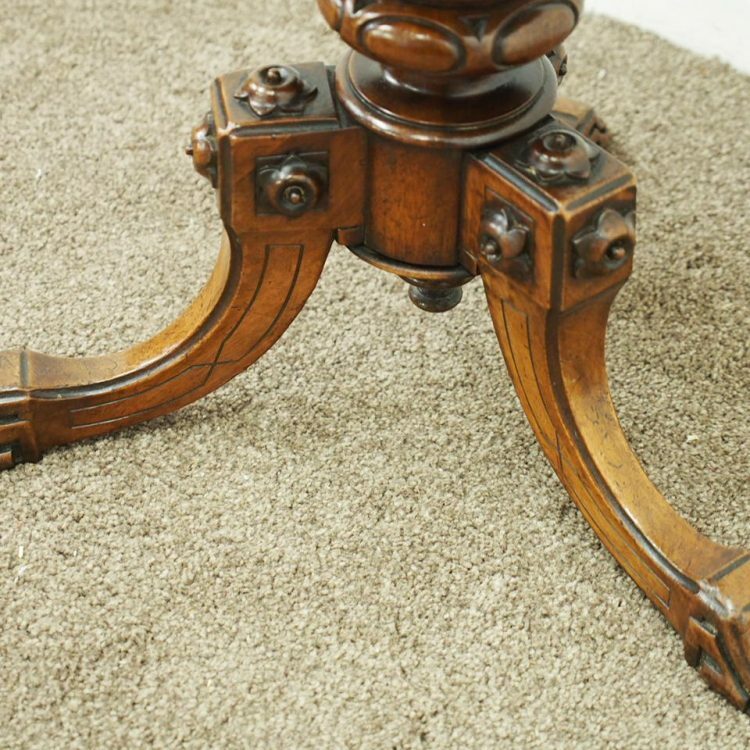 Circa 1880, Victorian walnut revolving piano stool. 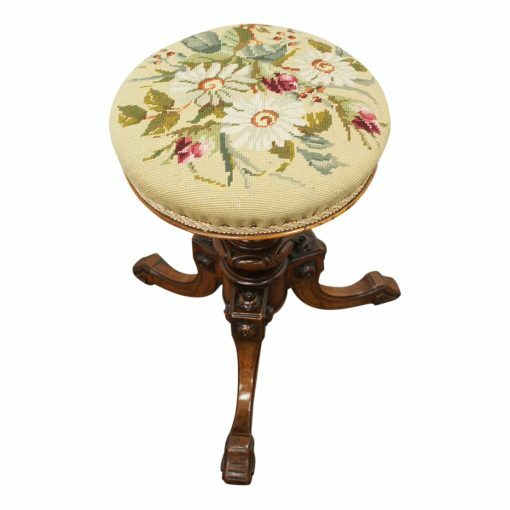 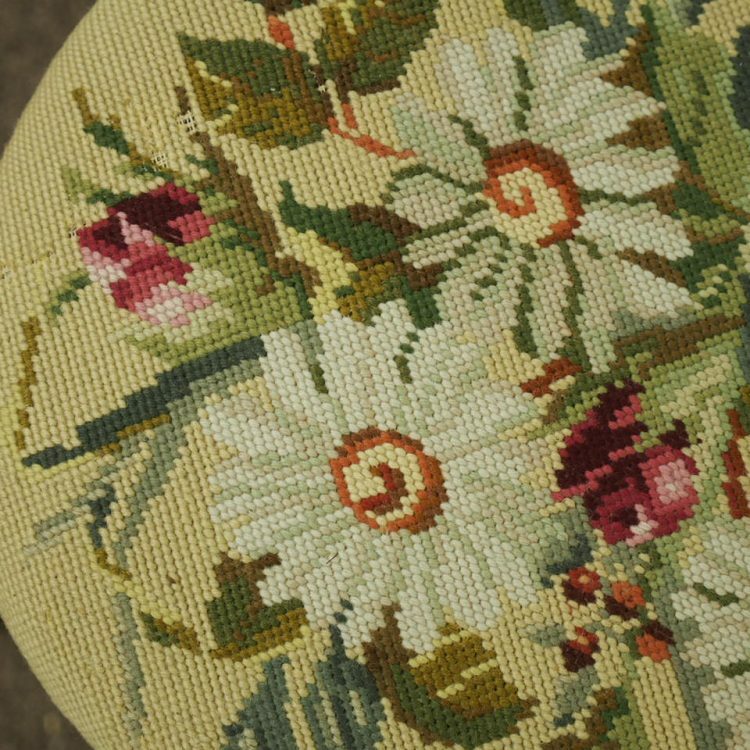 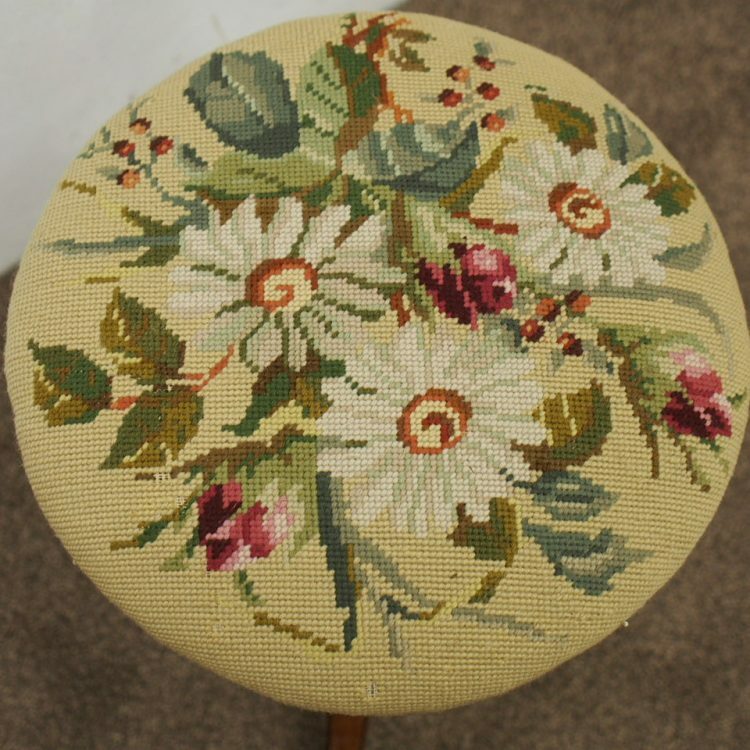 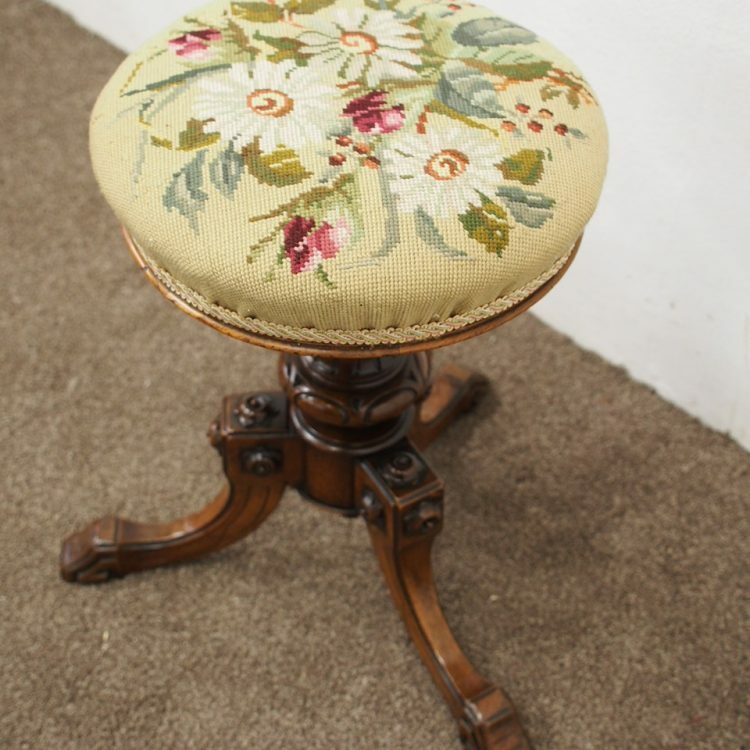 With a large top in needlepoint fabric, held in place by gilt and sits above a brass bezel above the turned and fluted stem. 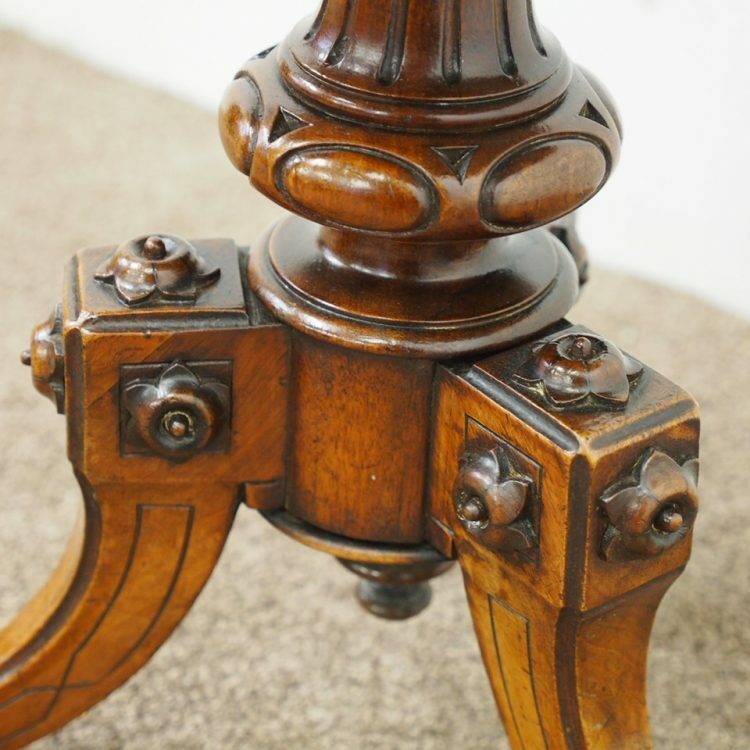 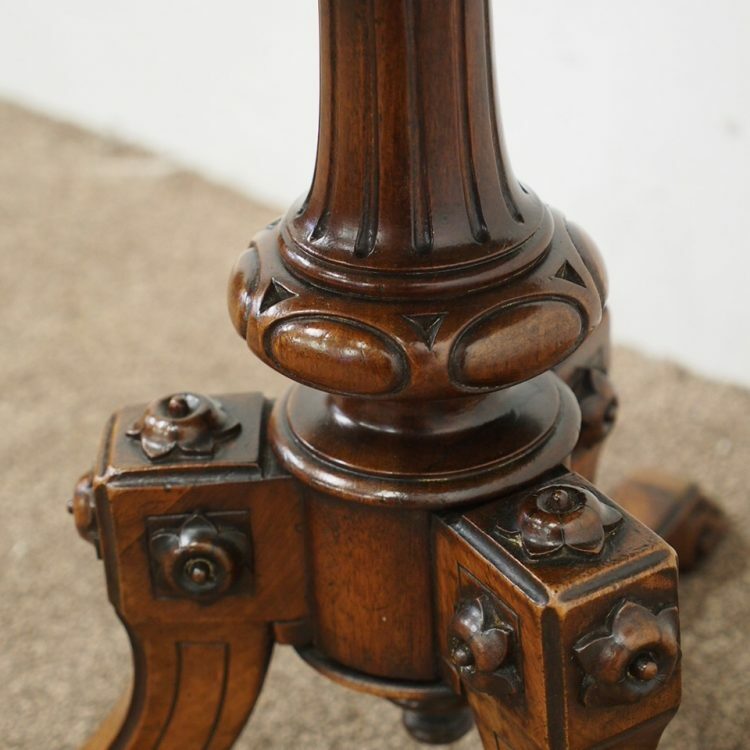 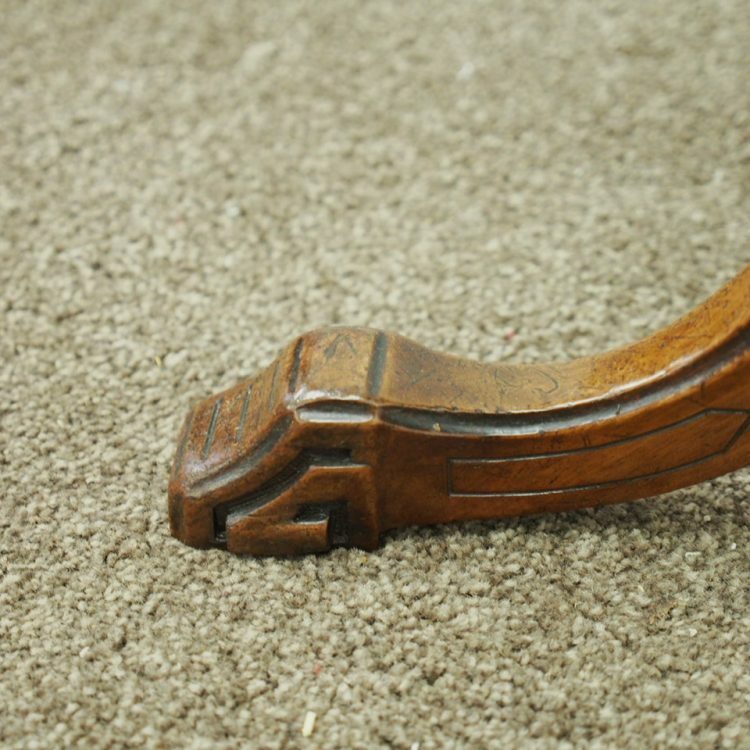 It stands on 3 unusual cabriole legs with carved flower heads to the blocks at the top, and finished on a geometric toe.